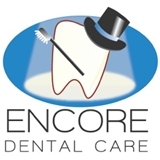 Encore Dental Care (San Antonio) - Book Appointment Online! Our mission is to enrich people's lives by helping to enhance their oral health and well being. We will provide excellent comprehensive dental care in a state of the art facility and are committed to creating a friendly atmosphere of mutual trust and respect. The Dr and the entire staff were friendly, helpful, and absolutely professional.